Jodi serves as co-chair of Brouse McDowell’s Insurance Recovery Practice Group. She has practiced in the area of insurance recovery for over fifteen years, advising and representing corporate policyholders in liability and first-party insurance matters. She has secured defense and indemnity for clients faced with mass tort, asbestos and environmental liabilities, obtained favorable rulings on bad faith claims, and has advised and represented corporate policyholders seeking coverage for business-interruption claims, property claims, directors-and-officers-liability coverage, commercial-crime and fidelity-bond coverages. She has also worked with individual policyholders regarding their personal lines of insurance, including homeowners insurance. Jodi has litigated in the courts of several states and in several federal district and circuit courts. She was part of a team that obtained a jury verdict against an insurer finding bad faith and awarding punitive damages in federal court. She also obtained a favorable ruling by the Texas Supreme Court on an issue of first impression in that state regarding the duty to defend an environmental action initiated by the EPA. 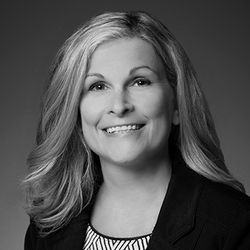 Outside of insurance, Jodi has represented individuals and corporations in business litigation and commercial matters, including non-insurance indemnity matters, employment matters, class action suits, property disputes, and ERISA-disability claims. She was among the inaugural class in Ohio certified as an Insurance Coverage Law Specialist by the Ohio State Bar Association. Jodi now serves on the state bar’s Insurance Coverage Specialty Board.